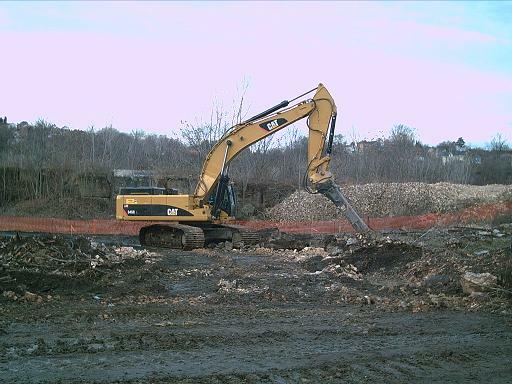 Neumeyer Environmental Services (NES) performed the Waste Management to include a wide variety of site work and environmental remediation tasks at a PADEP designated Act 2 site that had been the site of large scale tank farms, and more recently, a demolition and salvage yard. 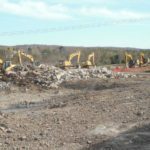 To facilitate the work to be performed, NES improved and built site access and haul roads, installed concrete entrances to PennDOT’s road, mobilized a trailer complex, and installed laydown and parking areas. Contaminated Soil and Buried Debris Disposal. 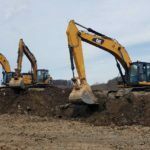 NES excavated over 200,000 tons of soil and buried debris from the site, coordinating with several trucking companies and four landfills to ensure timely and proper landfill disposal of the materials. 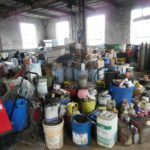 NES inventoried and collected large quantities of chemicals from around the site, in addition to pumping product and liquid from storage tanks, piping, and excavations. All wastes were sampled, profiled, and properly disposed of at a number of licensed facilities. NES performed asbestos abatement in several structures and mobile homes on the site. NES closed 27 monitoring wells and one drinking water well on the site. NES closed, removed, cleaned, and disposed of 10 underground storage tanks and 4 aboveground storage tanks. NES drained over 10,000 linear feet of pipe remaining from the tank farms that previously were in place at the site. 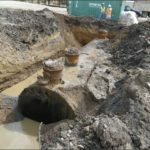 Approximately 7,000 feet of pipe was excavated, cut, and removed, and approximately 3,000 feet was filled with grout and closed in place because it ran thru a wetland. 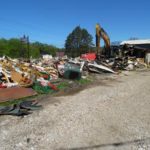 NES demolished four buildings, and several mobile homes and trailers. Neumeyer Environmental was contracted to perform decontamination of a radiological contaminated facility with 54 actuator rod sleeves cast into the walls of a containment scheduled for removal. Neumeyer Environmental was required to core-drill holes through high-strength concrete to remove the sleeves. Neumeyer Environmental developed a process to collect, filter, and recycle drilling lubricant to reduce the volume required to perform the work. 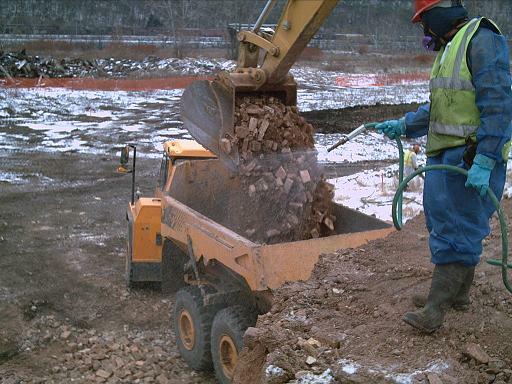 Neumeyer Environmental was able to minimize the amount required to less than five gallons by employing this method. The lubrication equipment was solidified on site. The project involved multiple mixed waste streams, such as radiological contamination, asbestos, mercury, lead, and guano debris. The project was completed on-time and within budget. A primary bridge over French Creek in Phoenixville, Pennsylvania was being replaced by PennDOT. 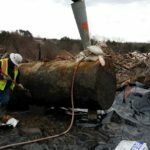 Several environmental issues required address as part of the work including lead paint and asbestos-containing materials on the existing bridge and elevated contaminants in the subsurface soils. The piers and subsurface preparations were within a former steel-making facility with elevated inorganic constituents of concern. Neumeyer Environmental was contracted to address and manage these environmental aspects of the work. 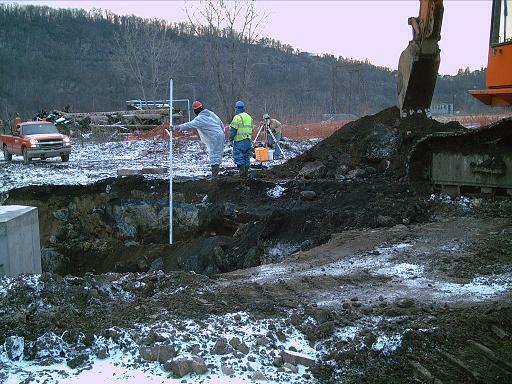 Management of on-site soils required sampling and analysis, use of personal protective equipment, segregation of contaminated materials and water quality issues associated with installation of the pier adjacent to French Creek. Neumeyer Environmental performed select earthwork, demolition, on-site placement and off-site disposal of surplus materials and debris. We also managed the discharge waters from the coffer dam by installing a high volume pump and treat system that allowed direct discharge to French Creek. The project required approximately 10 months to complete from plan preparation and sampling through excavation of the pier subgrade. 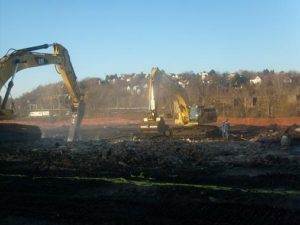 The Regional Industrial Development Corporation (RIDC) constructed a roadway to convey traffic over an existing rail line to Duquesne Riverplace at the old Duquesne Works Steel Mill property. 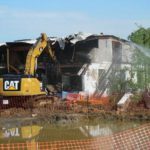 The property was approved as an ACT 2 site and is currently under phased redevelopment. 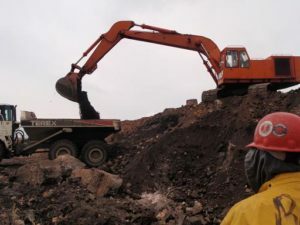 Management of on-site soils required extensive sampling and analysis, use of personal protective equipment, segregation of contaminated materials and removal and management of subsurface debris due to the historical steel-making activities. 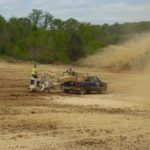 Neumeyer Environmental evaluated and managed approximately 40,000 cubic yards of impacted soils in preparation of the more than 3,000 linear feet of road construction. We worked in close coordination with the prime contractor to develop approaches that facilitated project completion and minimized costs.